New version 2.0.0 of the plugin WOOF by Category is published. Now plugin is compatible with WPML. 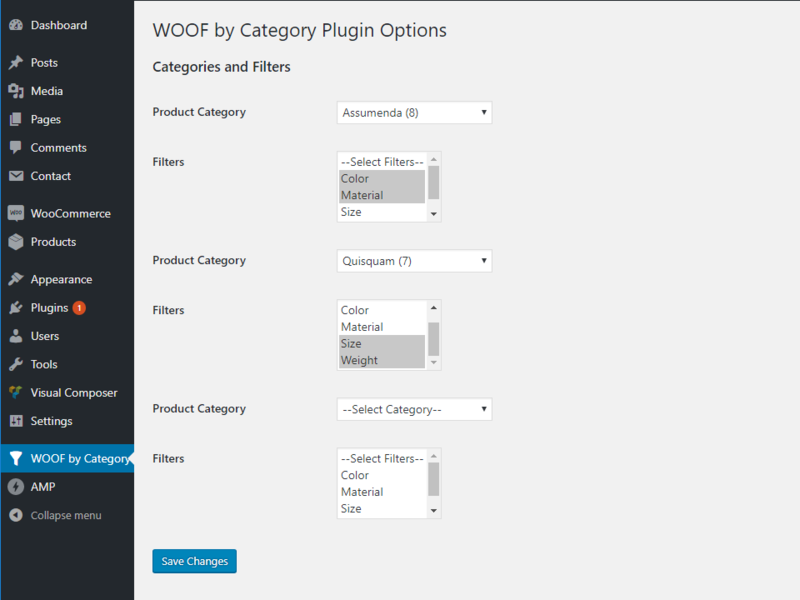 WOOF by Category is a WooCommerce Product Filter (WOOF) extension, which allows user to set up different WOOF filters in different categories. Plugin has options page on the backend, to setup relationships between any WooCommerce product category and any set of WOOF filters. Only selected filters will be shown on the selected category page and its children. In the new version of the plugin, settings are saved separately for each WPML language. This allows to have different sets of pairs “category->filters” in different languages, and work with categories, translated by WooCommerce Multilingual (this plugin is a part of WPML).